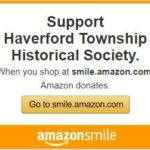 The Historic Resources Survey was prepared in 1994 by the Delaware County Planning Department and includes over 100 properties throughout Haverford Township. These resources were evaluated for historical and architectural integrity and significance. To be included in the Historic Resources Survey, a property must meet specific criteria for designation. In addition to the pride of stewardship and the prestige of owning a historic resource in Haverford Township, other positive aspects of being part of the Historic Resources Survey include consideration of the resource with regard to development of surrounding areas, and assistance from the Historical Commission in helping property owners maintain the integrity of their historic resource. Residents can request that their property be considered for inclusion on the Historic Resources Survey by contacting the Township Zoning Officer.